High Quality Content by WIKIPEDIA articles! 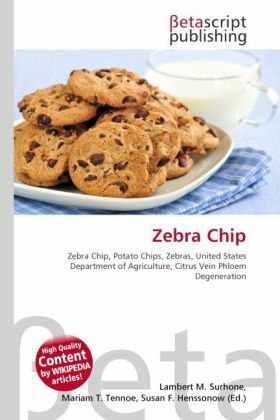 Zebra chip, also known as papa manchada and papa rayada, is the term for both an as-of-yet unidentified pathogen and the disease it causes in potatoes and their derivative products. Potato chips exposed to the Zebra chip pathogen develop unsightly black lines resembling the stripes of zebras that render the chips unsellable. No health risks have been connected with consumption of infected potato chips.